Redeem Tlang (28′) and Samuel J Lyngdoh Kynshi (72′) struck in either half of the match to give Lajong a 2-0 victory over Churchill Brothers in their second Hero I-League home fixture this season. Lajong leapfrog Minerva Punjab FC to grab the pole position having bagged all possible 6 points from 2 matches. 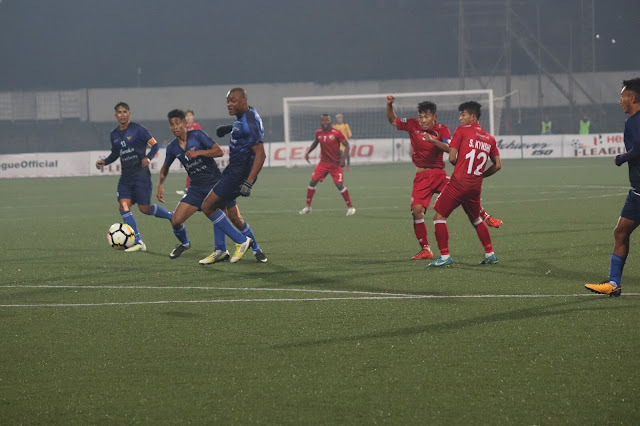 Both teams started playing offensive football in the first half of the match attempting to score but the match took a rough turn for Churchill Brothers in the 28th minute when Redeem Talang of Lajong struck the target. 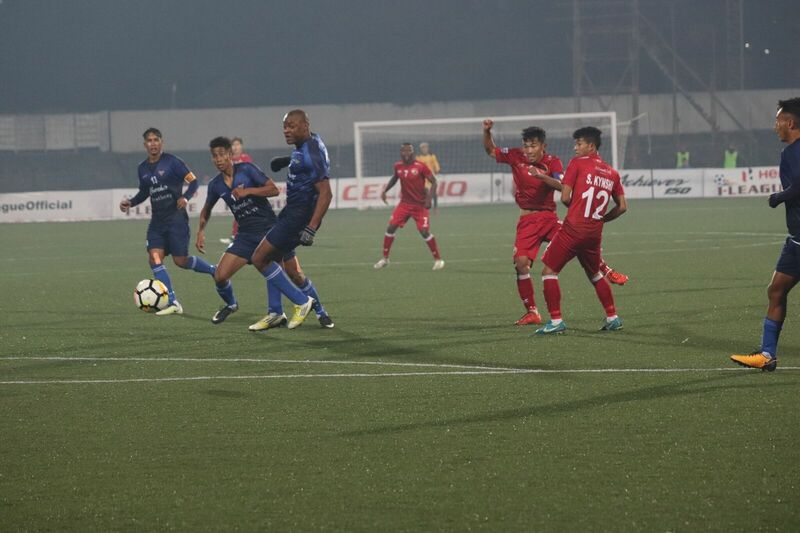 After the first goal, Lajong felt more comfortable with their situation in the game whereas, Churchill tried their best to come back but were not able to do so. There was one yellow card for Lajong in the first half being shown to Daniel Odafin. The second yellow card was shown to Karthik Govindswamy of Churchill Brothers. On the resumption, Churchill Brothers shited the gear in their pursuit of the elusive equaliser. Compared to the first half, the second half was more energetic and competitive. As contrary to the first half, Lajong were defensive in the first few minutes of the second half, preferred to secure their lead safely. In the second half, Samuel J Lyngdoh Kynshi, came off the bench into the game, replacing Abdoulaye Koffi to score the second goal for Lajong in the 72nd minute, thus giving them the upper hand over Churchill Brothers and killing off any hope of coming back into the match. Churchill Brothers still fought on and launched themselves into an offensive trying desperately to get back into the game, but were unable to do so. In the 82nd minute, Lajong’s Novin Gurung received a yellow card. Four minutes were added at the end of the second half which only delayed the inevitable. Hardy Cliff Nongbri of Shillong Lajong FC was awarded the Hero Of The Match for his outstanding performance. 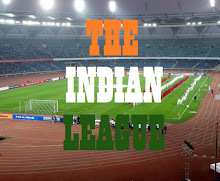 Lajong will travel to Kolkata to lock their horns with Kingfisher East Bengal on December 9 while Churchill will contest against the Mariners next day.